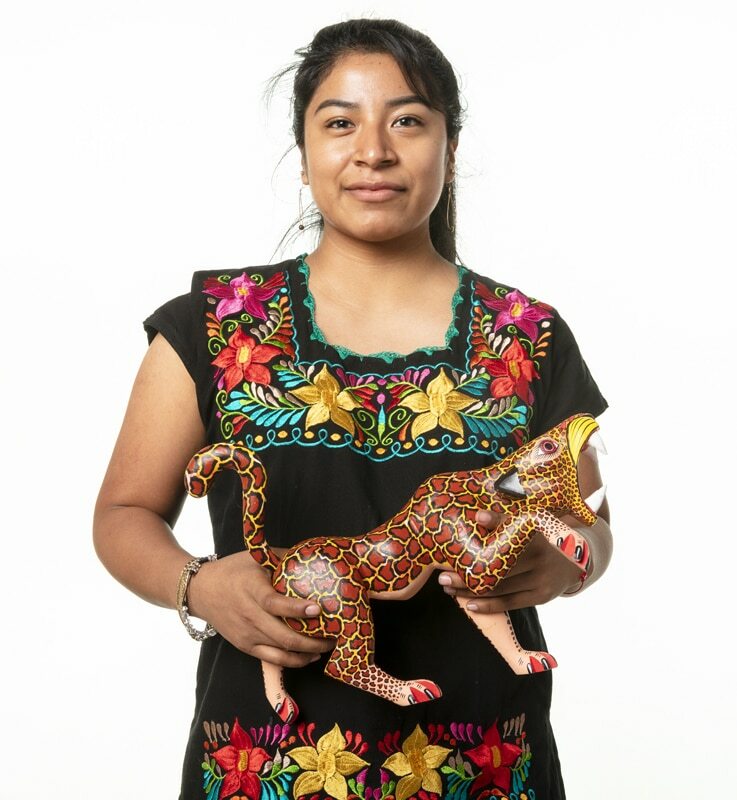 I’m here to show my alebrijes, wooden carvings that come from Oaxaca. They’re done in little villages where it takes various steps to do the actual piece. For example, someone could carve them, and another could carve out the details of the animal. It’s usually woman that paint them and sign them at the bottom. My parents are both from Oaxaca. My aunt lives in Oaxaca and her village sends us pieces. A lot of people know the mole from Oaxaca my mom does it with the metate, usually for the Day of the Dead. She does her little altar, she puts her flowers, her fruit, she makes mole 100 percent by hand. Also tortillas a mano. Her dialect is Mizteco. I can understand it but I can’t speak it. I can’t make the mole! What brings me joy is the appreciation from people about the art. They know it takes a lot of time. I can see in their eyes that they enjoy it, and that makes me very proud of my culture.